The Rock pigeon is an average sized bird with beautiful appearance. 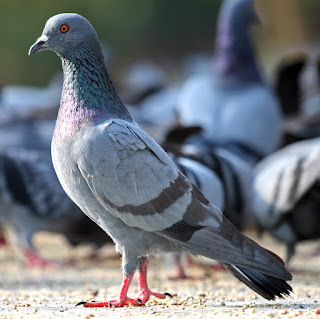 Most of the feral and domestic pigeons are very variable in color and pattern. While the wild Rock pigeons are usually pale grey in color with two black bars on each wing.